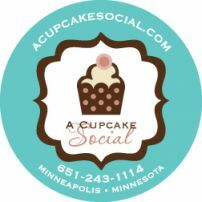 A Cupcake Social serves distinctive gourmet cupcake flavors, an expanded menu of homemade ice creams and variety of iced beverages. 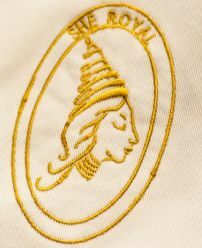 Exclusivity at its sweetest! AZ Canteen is the brain child of Andrew Zimmern, a local James Beard award-winning food and TV celebrity and the host of his own show, Bizarre Foods. AZ Canteen serves Cabrito burgers and grinders, Piedmontese hot dogs, veal tongue sliders, and crispy pork belly. Come try our gourmet food—pulled chicken adobo tacos, pulled steak sandwich on a pretzel roll, tilapia fish bowl, and chicken curry bowl. Word on the street is the jalapeno sauce is ridiculously good, so don’t be afraid to spice things up. Dandelion Kitchen serves up a well-crafted menu of sandwiches, soups, salads, and seasonal specialties, all made from scratch. Join Dumpling all night for delicious Asian-inspired dishes and our debut of dumplings on a stick! Gastrotruck is on a mission to bring handcrafted modern Midwestern cuisine to the people of Minnesota. The featured offerings of sandwiches and snacks include chicken wild rice burgers, smoked pork belly sandwiches, beer cheese nachos, and more. Kabomellette serves up omelettes and other delicious breakfast items on one sideba And on the other side, you guessed it, a variety of flavored Kabobs, such as jerk, satay, curry, and even caprese Salad. We are also proud to offer quality coffee and great sandwich options. The MidNord Empanada Truck creates traditional Spanish style empanadas infused with fun, creative MN-inspired ingredients. Don’t miss out on the MÉNAGE À TROIS made up of dates, bacon and pecorino Romano cheese or the MAC ATTACK with lots of cheese and some macaroni in it. 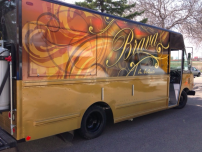 Mötley Crews Heavy Metal Grill is the Twin Cities Hottest Food Truck. Our menu ranges from our “Almost Famous Funky Philly” to our Southern Chick. Our Sully’s Sweet and Heat Pretzels are incredible, but watch out! they’re habit forming. Serving cold brew single origin coffee at Northern Spark! Potter’s peddles traditional English pasties with a twist, hand held pies filling with meat and vegetables originally developed many years ago for the miners of the world. Fillings range from chicken, pork, and beef to house made sausage and “Thai Veg.” Potter’s also serves sweets straight from the UK, a dessert pastry called Banoffee Pie, tea, and Vietnamese coffee. Sassy spoon serves homemade real food! Everything is naturally gluten free because our food focus is on meats and vegetables. All our proteins are locally sourced and we use organic when possible. This is clean food that makes you feel good! Vegan and gluten-free options. Freshly made to order fair with an Asian influence. Sandwiches on toasted rolls, homemade pickles, sauces, soups, and crispy fried salt and vinegar chips. Including our fan favorites: Sesame Beef, and the Spicy Garlic Mock Duck. Everything is cooked from scratch with a sustainable mind. Serving Ethiopian veggie sampler, chicken curry, chapati wrap, gyro, killer sambusas, and coffee. Vegetarian and vegan options. 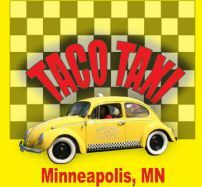 The Taco Taxi menu offers dishes straight from the brothers’ hometown, such as our famous burritos, tacos, and the birria (a soup made Jalisco style). 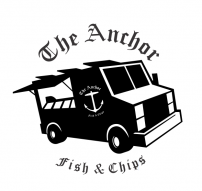 The Anchor Fish & Chips will serve up the Real Deal Fish & Chips along with Meat and Veggie Pasties & Battered Sausage. we also serve up homemade Mushy Peas, Beans, Curry & Gravy along with homemade Tartare Sauce. 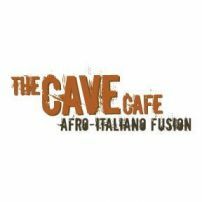 Chef Teddy and The Cave Café travel across the Twin Cities Metro serving up Afro-Italiano fusion from a lamb gyro to vegetarian curry. All of our flavorful dishes are served with our signature rice featuring a Sugo sauce (Italian sauce) and Berbere spice (Ethiopian spice mix). 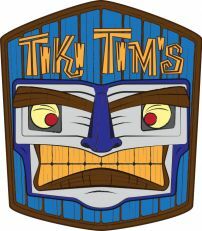 Tiki Tim’s creates tasty, tropically inspired plates served in a fun and affordable fashion. Our signature items include fish tacos, crab cakes and a kalua pork sandwich. Vegetarian options. The TOT BOSS food truck specializes in tater tot concoctions – such as Poutine Tots, Tater Tot Nachos, Chili Tots and more. Several menu items are gluten free. And the owner/operator knows sign language. New South Minneapolis tea house favorite Verdant Tea serves homemade chai and kombucha plus a variety of Chinese teas and herbal blends. Mobile wood-fired pizza from an authentic italian oven on a artisan sourdough maple crust with a focus on sustainable local toppings. Pizza with a sense of place. 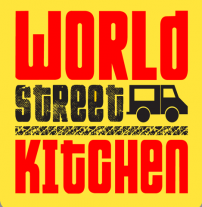 World Street Kitchen features a seasonal menu which utilizes only the highest quality ingredients, presented in a fun way: street style. The cuisine is inspired by the food served in street carts around the world, from Morocco to Vietnam.